I've been collecting frozen bananas for a few months and wanted to use some of them up today by making 2 loaves of banana bread. Whenever I bake just one loaf it goes so fast and everyone says why didn't you make more. Well today I did just that. My recipe is your basic banana bread but I would have added nuts to the mix if I'd had some. Remove peels from the bananas and set into a medium size bowl. Mash the bananas and add the butter mixing well. Next add the sugar and vanilla mixing well again. Beat the eggs and then add to the wet mixture mixing well. In a larger bowl combine the flour, baking soda, and salt mixing well. Add the wet mixture to the dry and beat well. Add equal amounts to each pan and set in the oven for 60 minutes or until done. Remove from the oven and cool for ten to fifteen minutes. Remove the bread from the pans and cool on a rack. Linking up to +Ruchira Khanna over at ABRACABADRA for Wordless Wednesday. 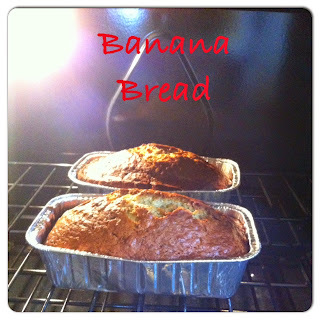 Yummy, I love banana bread!! 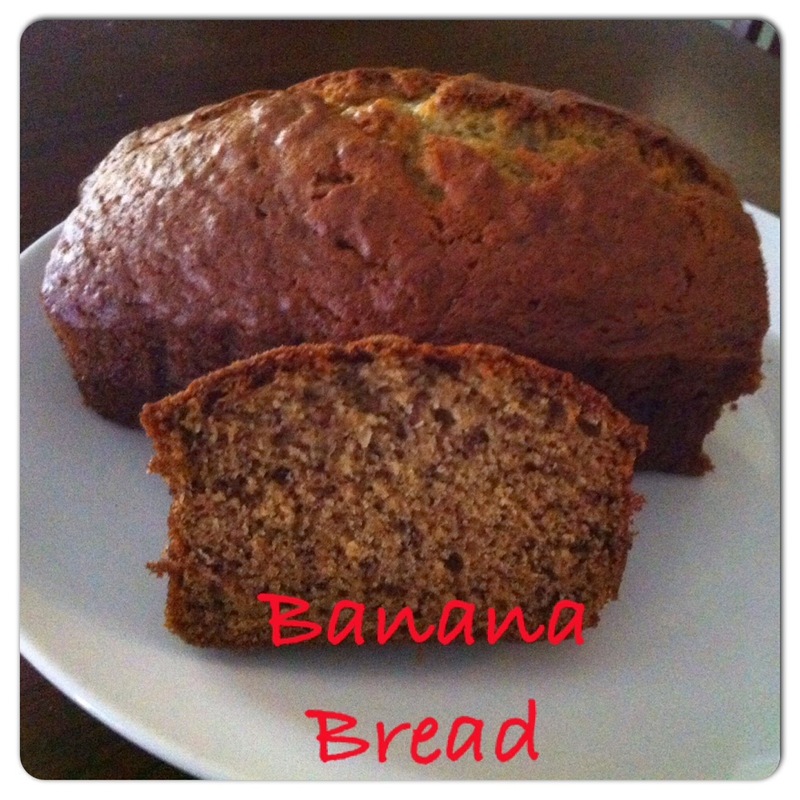 Banana bread is one of those things I love to eat, but have never tried to cook. My baking of banana bread usually consits of saying, "I want some banana bread!" to one of my friends. Nona, You should try making your own. 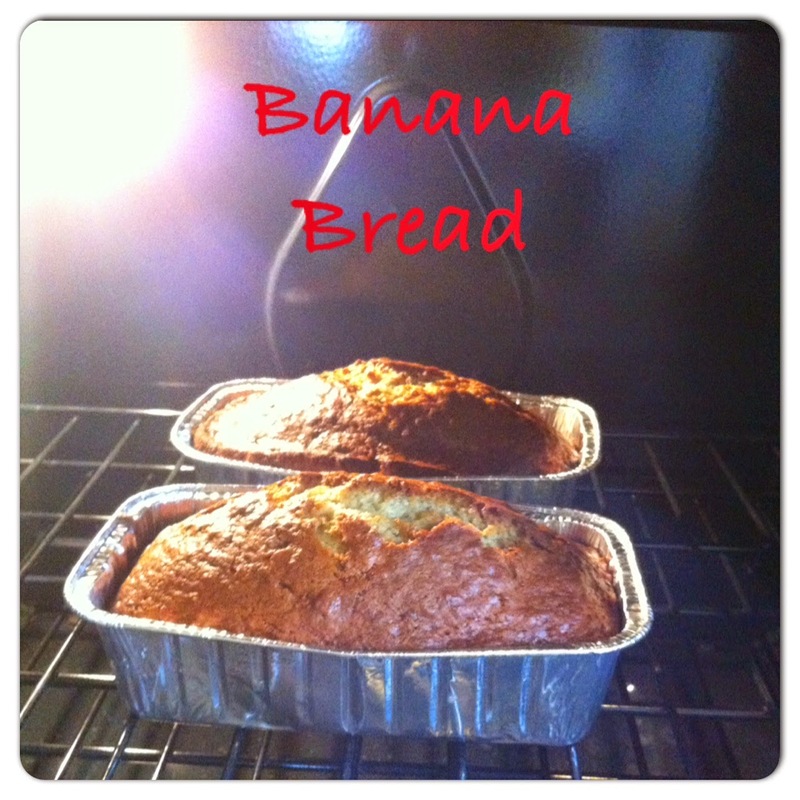 It has been ages since I have baked banana bread but the smell of yours fresh out of the oven is enticing me! I never thought about freezing bananas. Good idea! It looks delicious. I always have bananas kicking around in my freezer.